Skullcandy's sports bud is wireless. OFFICIAL SKULLCANDY IN-EARBUD NECKBAND WIRELESS HEADPHONES FOR SPORT ATHLETICS. Headphone type: Bluetooth in-ear. MICROPHONE INCLUDED: Never miss a call while working out; connects to your phone via Bluetooth. Beats Solo3 Wireless headphones. Refurbished SOLO 3 WIRELESS BY DRE WITH W1 CHIP without box. Excellent condition. Over-ear headphones: surrounds the ear. 12 months by our supplier. Compatible with all smartphones. Bluetooth Connectivity: Bluetooth Profile: 4.1. 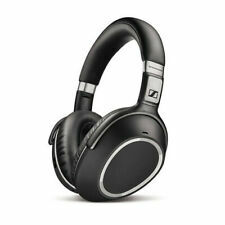 Samsung LEVEL Active Headphones - Black. Wireless: Yes. Battery Capacity: Battery life: 5.5 hours of play/talk and 250 hours of standby. SOLO 3 HEADPHONES WIRELESS BY DRE REFURBISHED condition AS GOOD AS NEW! - Listen to award-winning Beats sound. Beats Solo 3 is easy to set up, simply power on and hold near your iPhone, Apple Watch, iPad and Mac. SKULLCANDY Bluetooth Wireless Ink'd Headphones - Black - Brand New. Condition is New,Sealed.Dispatched with Royal Mail 2nd Class. Cut the cord and not the music, with the JBL T450BT. 1 x JBL T450BT Handset. For over 60 years, JBL has engineered the precise, impressive sound found in big venues around the world. JBL Pure Bass sound. 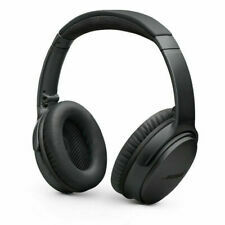 Beats by Dr. Dre Solo³ Wireless Headphones - Matte Black (Special Edition) - In used (8/10 condition). Minor scratches but nothing more. - Only one side is working which is something that needs to be repaired. - One of the ear cushions is coming off (I am providing new ones so they can be replaced). - The bit of the headphone that supports the neck needs to be glued a little as seen in picture 6. MEGA PROMO RRP £79.99 up to 50% OFF! Technical specifications for SONY WI-C300 Wireless Bluetooth Headphones - White. In-ear headphones. 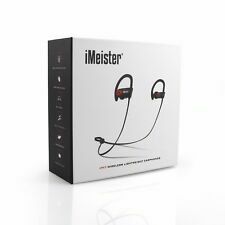 Bluetooth / wireless range10 m. Supplied with original box and charging cable,UK user guide,sized ear buds. 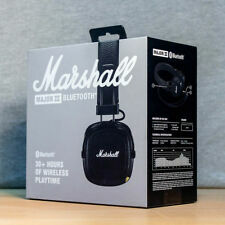 It combines minimalist design with quality materials that provides unyielding sound. Fully wireless connections provide a cable free solution for your Wave ZX headset. Bluetooth version: Bluetooth 4.0. Beats Solo3 Wireless headphones. Refurbished SOLO 3 WIRELESS BY DRE WITH W1 CHIP without box. Excellent condition. Over-ear headphones: surrounds the ear. WHAT YOU GET. We are here to solve any problems you have. BEATS BY DR. DRE SOLO 3 WIRELESS HEADPHONES. Beats by Dr. Dre SOLO 3 Wireless over-ear headphones. Beats solo3 Wireless, Rose Gold-USA. Each headset contains High Definition Beats audio technology. Bluetooth Wireless Connectivity. Connection succeeded. You can achieve a secure fit no matter how vigorous your workout is, and you have the option to wear one or both buds depending on your activity. Single-ear connection: Press and hold the multi-function button and release the button. Bluetooth version: 5. Wireless range: 10 m. The charging- and storage case has so much battery power that we actually decided that it could be shared with your device, so we added a USB output port so it could function as a regular Power bank as well with 2.100 mAh power. Introducing the KitSound™ Harlem Wireless Headphones. The KitSound Harlem Wireless Headphones have stylish detailing on the outside and clever technology on the inside. 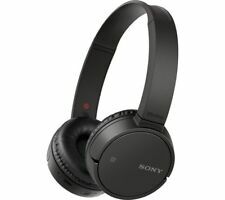 • Wireless connectivity distance: up to 10 m‘Bluetooth’ is a trademark of Bluetooth SIG, Inc.
Sony WH-H900N h.ear on 2 Bluetooth Wireless Noise Canceling Stereo Headset.